In most areas, indoor air can be 10 to 60 times more polluted than the outside air. The impact of long term poor air quality on your family’s health can be devastating, especially to those with allergies or asthma. 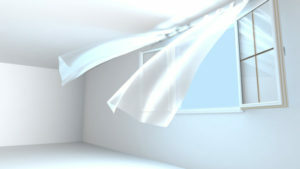 Although the indoor air quality may seem alarming, there are simple ways to ensure your indoor air quality is excellent. When it comes to improving your home indoor air quality, HVAC installation remains one of the best options. Although there are different ways to improve the indoor air quality, HVAC installation stands out. According to EPA, HVAC is an integral part of indoor air quality design tools. Different things can cause poor indoor air quality. That is why it is essential to understand the causes before finding a lasting solution. Focus on Vents – Parts of your home like the kitchen, bathroom and laundry room can directly impact the quality of air in your home. Ensure they are vented directly outdoors. Central vacuum cleaners and dryers, as well as wood stoves and fireplaces, should be vented outdoors. Use Doormats – Doormats may look like a simple tip, but it can have a significant impact on the quality of air in your home. Better yet, remove shoes at the door. Don’t Install HVAC in Garage – HVAC installation shouldn’t be done in garages because it can draw contaminants like pesticides, paint, car exhaust, etc. into your home. Whenever you want to carry out HVAC installation, ensure you work with professional HVAC specialist who will assist you to figure out the best location for it. Change Air Filters – It is essential to replace your air filters regularly to increase the efficiency of your HVAC. When it comes to HVAC installation and air filters replacement, Good Deals Heating and Cooling has the expertise to get the job done. You deserve nothing less than fresh and quality air in your home, so it is high time you stopped breathing poor air. Call 215-947-1166.